After the split of the Roman Empire at the end of IV century, the lands of Plovdiv region remained in its eastern part – Byzantium. For more than three centuries Philippopolis had been the main town of the province of Thrace and an important stronghold on the road to continuous incursions of the Barbarians south of the Danube. The Slavic invasions proved to be most significant and they forced Emperor Justinian the Great (527-565) to rebuild 35 of the affected forts in the Upper-Thracian Valley. The fortress of Philippopolis was also restored, where the alterations in mixed construction (Opus mixtum) characterized by alternating layers of stones and bricks can still be seen. In 584, Avars and Slavs made an unsuccessful attempt to conquer Philippopolis, but their first settlement in Thrace had already been witnessed. During the reign of Emperor Heraclius (610-641) the Slavs invaded the Balkan provinces of Byzantium. 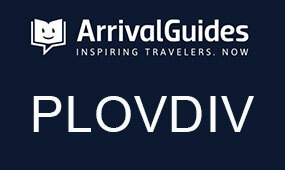 There is no information which Slavic tribes settled in the region of Plovdiv. However, in the ecclesiastical legend there is evidence for the settlement of part of the Dragovites tribe south of Philippopolis and on the northern slopes of the Rhodopes. In the Diocese of Philippopolis, after the Slavs adopted Christianity, a separate bishopric called Dragovitian was designated. The role of Philippopolis as an important stronghold against the barbarian invasions increased. At the beginning of VII century an external fortress wall was built to protect the foothills of the Three hills from east and south. 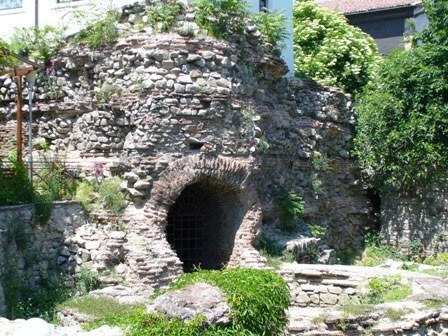 After the inclusion of the region of Zagorje to Bulgaria, during the reign of Khan Tervel (701-718), Plovdiv region became an arena of the age-old conflict between Byzantium and the medieval Bulgarian state. In the middle of the VIII century, Emperor Constantine V Copronymus, in order to strengthen the military power in Thrace, moved to the vicinity of Philippopolis colonists from Armenia and Syria. They were heretics, followers of Manichaeism and the Paulicians. This strengthened the military defense of Thrace, but deeply disrupted the Orthodox Christian peace for centuries. Thus with the departure of the Greek garrison the bloodshed and the destruction of the city were avoided. 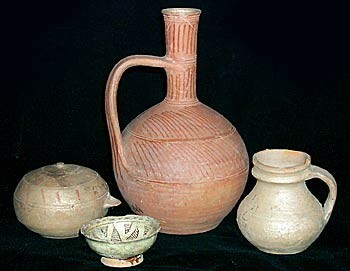 At the archaeological excavations at the Citadel of Nebet Tepe are found everyday objects of the Proto-Bulgarians from the middle of IX century. 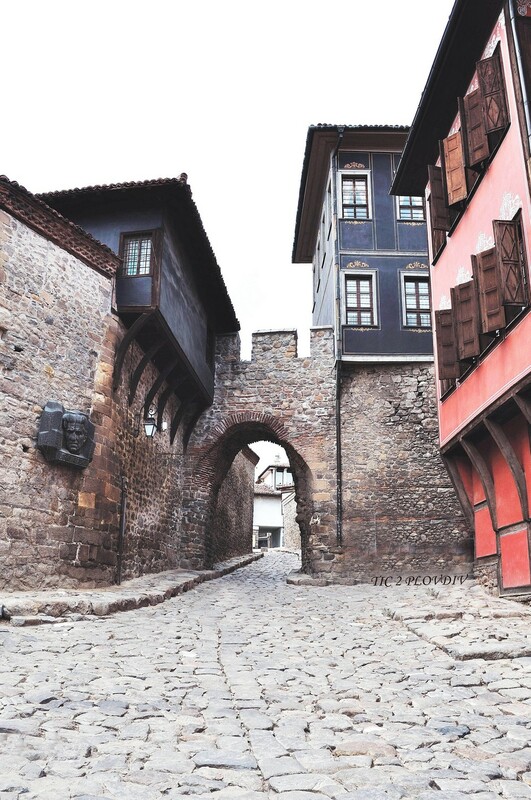 Researchers agree that Plovdiv and the region remained part of Bulgaria until the second half of X century. After the formation of the autocephalous Bulgarian church, one of its seven Dioceses center was Plovdiv. During the reign of Tsar Peter, heavily influenced by the heresies in the region of Plovdiv – Paulicians and Manichaeism, the Bulgarians also created their heretical doctrine known as Bogomilism. “The story goes that after he conquered Philippopolis, he cruelly and inhumanly impaled twenty thousand of the captured people in the city. Thus he frightened all of his opponents and subdued them. To the Roman envoys he replied proudly and confidently that he will not leave this fertile land, if they do not pay a lot of talents and do not redeem the cities and the captives that he conquered. In the event that the Romans did not want to pay that, they should leave Europe that does not belong to them and to move to Asia”. In the next year – 971, Emperor John Tzimisces acceded to Byzantium the East Bulgarian lands together with Plovdiv as a separate topic (domain) with the name Philippopolis. It became an exit military base for the campaigns of Basil II against the Western Bulgarian state of Tsar Samuil. According to the legend, part of Samuel’s blinded soldiers were settled after 1018 in the area of ​​the established Belashtitsa Monastery St. George, ten kilometers south of Plovdiv. The rich Plovdiv region was given as a reward to Byzantine commander Nikephoros Skiffy that delivers the decisive blow to the back at the defeat of Samuil’s army. In 1083 one of the prominent Byzantine generals Gregory Pakourianos – “sebast and great domestic of the West”, founded the St. Mary Bachkovo monastery, which played a crucial role on the Christian population in the region in the following centuries. The end of the XI century was marked by the mass uprising of the Paulicians in Plovdiv. Led by Travel, they fortified in the fortress Belyatovo north of Plovdiv and hence carried out raids against the district town. Against them the Emperor Alexius I Comnenus raised new fortress that bears his name – Aleksiopol, near the present town of Rakovsky. In the battle against the rebels of Travel was killed Gregory Pakourianos. Because of the Latin knights we have the most interesting information about the history of Plovdiv and the region in the period of the Crusades. 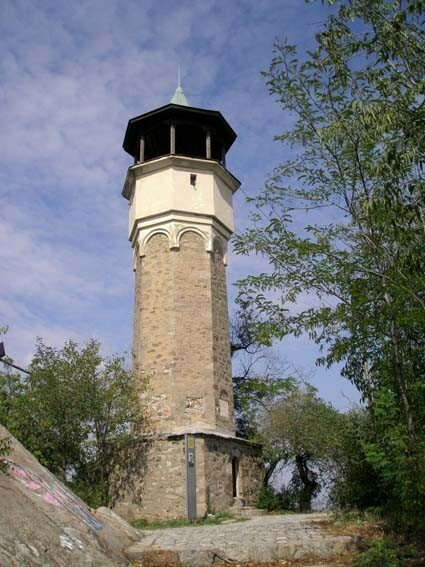 They travel along the famous road Via Militaris diagonal that crosses the peninsula from Belgrade to Constantinople. In 1096 the First Crusaders passed through here and noted Plovdiv among the richest Byzantine towns “abounding with bread and wine and all kind of food”. In 1149 the knights of the Second Crusade reported of a neighborhood settled with merchants from France, Germany, Lombardy and others, forming a marketplace of their own in the city. One of the most prominent participants in the march died in Plovdiv – the Atrebates bishop Alviz and his grave in the churchyard of St. George became famous for miracles and healings. In 1189 through here passed the armies of the Third Crusade and conquered Plovdiv. In 1204 the Crusaders of the Fourth Crusade captured Constantinople and established their Latin Empire on the territory of the European possessions of the Byzantine Empire. 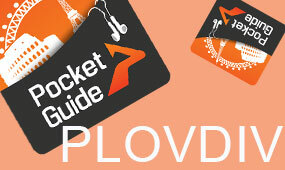 The Plovdiv region was given to the Flanders knight Renee de Trois, which created Plovdiv Duchy. On April 14, 1205 at the Battle of Adrianople the Latins suffered a crushing defeat by the Bulgarian army, led by Tsar Kaloyan. Supported by the Bulgarian population and the Plovdiv Paulicians, Kaloyan conquered Plovdiv, cruelly wrangled with the treacherous Greek rulers of the city and joined the Plovdiv region to his country. In 1208 in the decisive battle north of Plovdiv the Latins defeated the Bulgarian army of Tsar Boril and included the area again as part of the Latin Empire. Only after the Battle of Klokotnitsa in 1230 Tsar Ivan Asen II rejoined Plovdiv region to the Bulgarian territory. An evidence is the Krichim inscription: “On this stone sat Tsar Asen, when he conquered Krichim” and the Stanimaka inscription: “In the year 1231, indiction IV, from God raised Tsar Asen, Tsar of Bulgarians, Greeks and other countries put Aleksey Sevast and build this fortress.” That is about the restoration of the Asen’s fortress as part of the fortification system along the northern slopes of the Rhodopes. During the Middle Ages the rulers of the city changed 15 times, almost every time by fire and sword. Plovdiv region was conquered after the victory of the Turks at Chernomen near Adrianople in 1371. After a fierce resistance Plovdiv gave up to Lala Şahin Pasha. 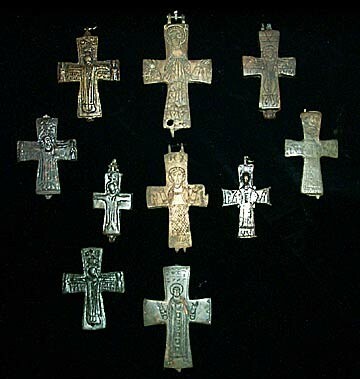 To avoid bloodshed and the destruction of the city, the Bulgarian garrison withdrew and the keys to the fortress were handed over to the Bishop of Plovdiv. Plovdiv, with a new name already –Filibe, became a center of the vilayet and together with the area was declared Sultan hass – personal possession of the Sultan. In the strife in early XV century the city was destroyed and most of its inhabitants were massacred and traded into slavery. The reign of Sultan Murad II (1421 – 1451) established the Ottoman urban type. 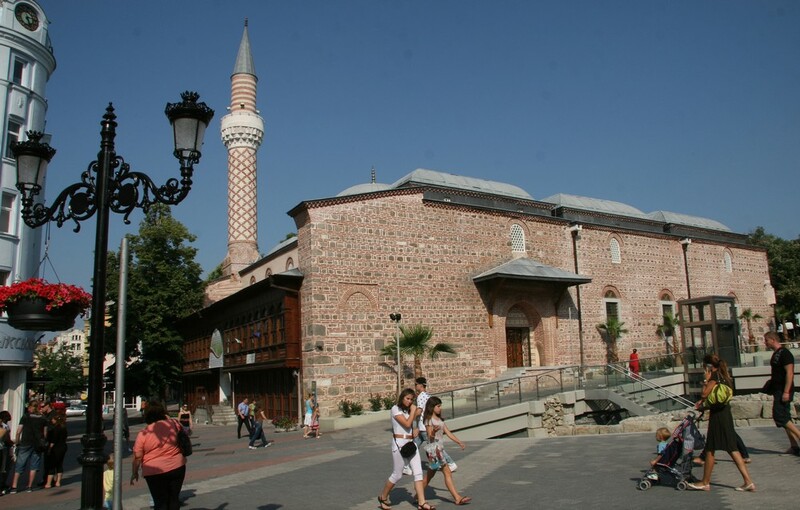 In Plovdiv, in the place of a Christian church was built Ulu Dzhumaya Mosque (main, Friday), known by the name of the ruler also as Muradiye. Over the ruins of an old monastery near Maritsa was built the famous Imaret Mosque. A new bridge over Maritsa was also built, the main shopping street Uzun bazaar was formed, around which the inns Kurshum Khan, Gavaz Khan, Fair Khan, Karaul Khan, the covered market Bezistena, the big baths Tahtakalenska, Chivte and Hyunkyarhamam were built later. Shopping stores started emerging in the city, which formed a whole marketplace for grain named Brass barn /Pirinch hambar/ (rice warehouses). 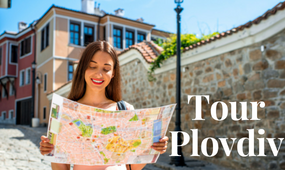 In Plovdiv developed a specific ethnic model where Bulgarians, Greeks, Turks, Armenians and Jews, who settled there after their expulsion from Spain in the XVI century, lived together, produced and traded with each other. Thanks to the Ecumenical Patriarchate and the traditions of the Middle Ages, the Greeks played a leading role among the Christians in the city. They engrossed the wholesale trade and usury and turned Plovdiv into one of the most important centers of Hellenism in Thrace. So by the beginning of XIX century, a process of an increased Hellenization of the Bulgarians had sparked. In Plovdiv and its north region, a large number of Catholics remained as an indigenous population who were naturalized as Bulgarians during that period, and by the end of XVII century had adopted the Catholic religion. Thus Catholic population areas were formed not only in Plovdiv but also around the present-day settlements of Rakovski and Kaloyanovo. became the most important craft in Plovdiv. Plovdiv tailors (abadzhia) offered their goods in Istanbul, Bursa, Izmir, Diyarbakir, Aleppo, Damascus, and Calcutta. 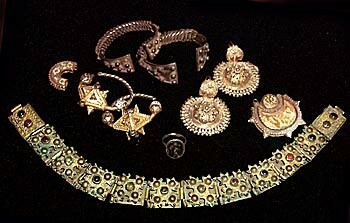 The city became the largest commercial and crafts center in the Bulgarian lands. Plovdiv commercial houses had offices in Istanbul, Vienna and Manchester. In 1845 the company of Gyumyushgerdan established the first textile factory in Thrace in the village of Dermendere (Parvenets).